Sure, Consumerist has covered many a story of a thief who tries to get away from store employees by biting into arms and occasionally chomping off the odd finger. We’ve also heard several tales of would-be thieves and bad customers using pepper spray to get their way. But an alleged shoplifting duo recently combined the two tactics while attempting to steal from a Pennsylvania Macy’s. 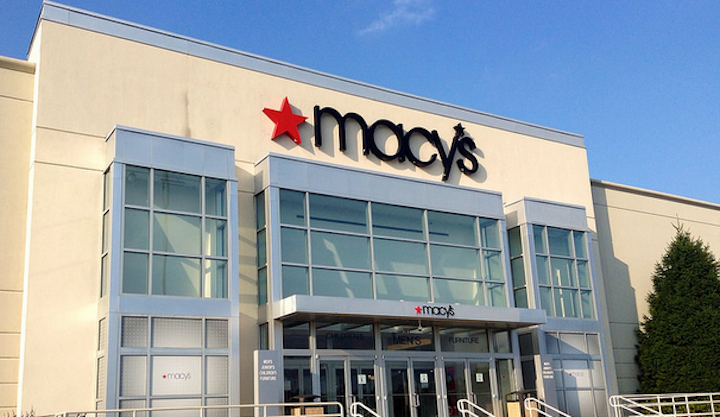 Police say that a male shoplifting suspect pepper sprayed and bit Macy’s loss prevention employees in order to let his accomplice get away, WPXI reports. The incident, which occurred earlier this week, began when the pair were seen on surveillance video allegedly putting more than $3,000 worth of designer purses into bags. Macy’s loss prevention staff then approached the pair, at which point the man allegedly used pepper spray on one employee and bit another while the woman ran into the parking lot. A witness who happened to be in the mall parking lot tells WPXI that a woman ran up to him and tried to grab the passenger door of his car. “So, I like stepped between her and said, ‘Can I help you? '” the man says, noting that he didn’t know until later that she was a suspect in a shoplifting incident. “She just kind of seemed scared like she was trying to get away as fast as she could. I didn’t feel threatened by her,” he said. Authorities say they are still searching for the woman, while the man was apprehended at Macy’s.